In a place where the history and Bucovinian traditions mix together in a distinct natural area, in a quiet place, The Casa Verde Pension offers the benefits of on exceptional holiday, peace, fresh air, hospitality. 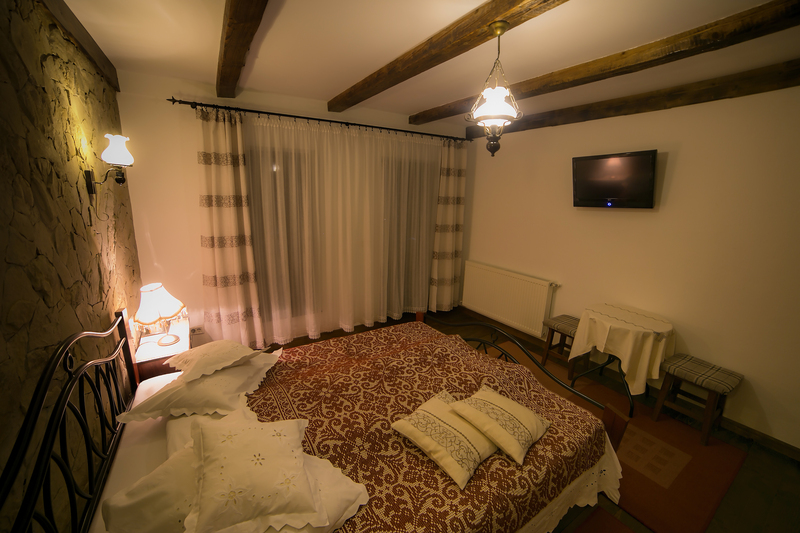 Situated at 200 m away from Voronet Monastery The Casa Verde is special for its location, ambiance, wide spaces, care for details. All of these are our strong points. Rooms 1-2-3-4-5 (Double) in the time of the week 115 Lei/day, and in weekends 130 Lei/day. Room 6 (Triple) in the time of the week 135 Lei/day, and in weekends 150 Lei/day. Price of full pension renting in the time of the week is 900 Lei/day. Price of full pension renting in the weekend is 1000 Lei/day. We can provide auxiliary beds for 40 Lei/day.